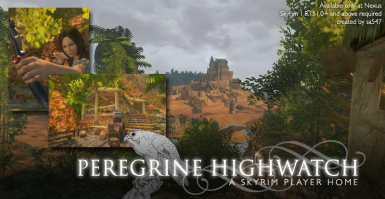 Peregrine Highwatch is the no-DLC twin sister to the Bayview player home that previously could be used only with the Dragonborn DLC. 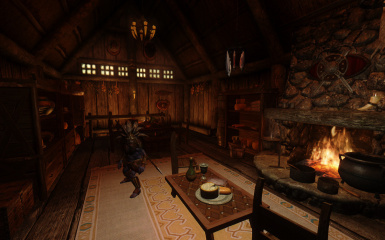 With this player home, you get to enjoy the benefits of Bayview but also be blessed with a great view of Whiterun! Any changes to this mod, conversions, or bug fixes thereof requires my permission. Any attempt to include this mod into a compilation also requires permission. 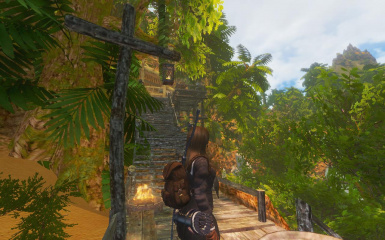 Uploading this mod to sites other than Nexus without authorization or sold commercially in any form is prohibited. 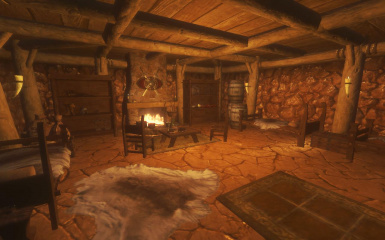 Improvements in both interior and exterior, especially lighting. Fixed terrible lighting effects in line with ELE Lite and finally got all that under control. No more flickering. Added new storage options in master bedroom and lab, and the cooking pots in the basement. 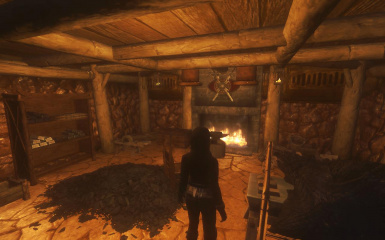 Removed two Solitude housewalls because they can potentially collide with books stored in both bookshelves at the basement. 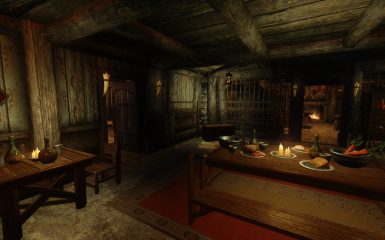 Changed imagespace to that for Solitude homes and dwellings, so as to make it less dark. 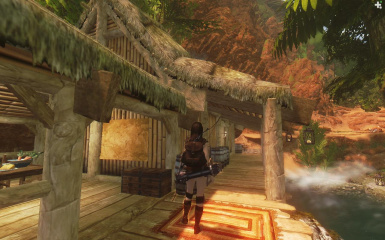 Improved lighting and visual effects. 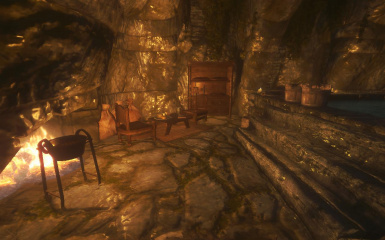 Dawnguard (coffins) and Hearthfire (oven and butter churns) modules for 1.5 should be compatible with this version. Added new cave for a garden and mineral veins. To refresh supplies, this cave and its contents will respawn every 10 days if not entered. 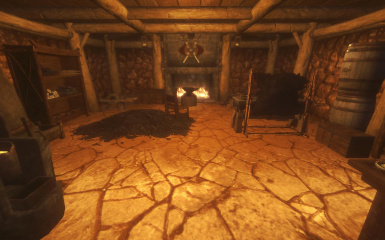 Hearthfire Module: Added a second butter churn outside the house; this is to respawn itself periodically. Navmesh also removed for better compatibility. Dawnguard Module: Removed navmesh for better compatibility. 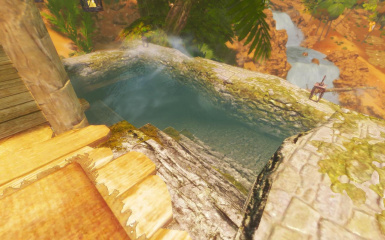 Made cosmetic improvements, such as replacing the carpets, adjusting lighting effects, added a small waterfall to the baths, and removed an unused crate. Updated location keyword to correct problem possibly caused by new version of Frostfall. Modified walkways, added shed and water trough for horse. 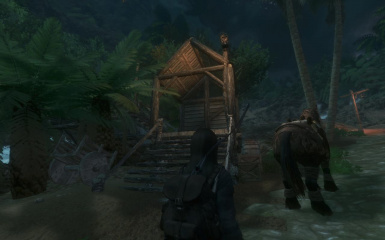 Fast-travel marker modified for better placement of player and horse. 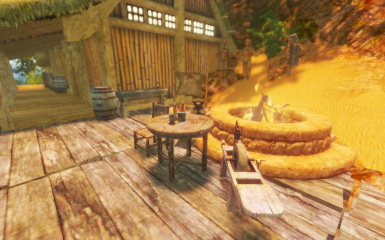 Hearthfire oven and butter churn module added. 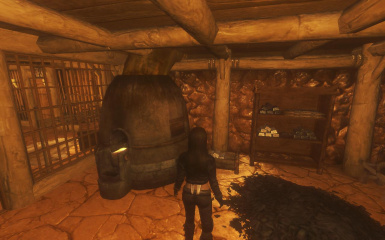 Added Dwemer ventilators and exhaust for smelter per Imperial Ministry of Occupational Health and Safety requirements. 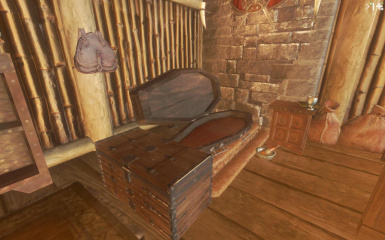 Created vampire version for Dawnguard users; replaced double bed with coffin. 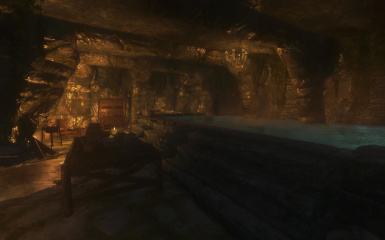 Requires Skyrim Update 1.8.151.0+ -- may NOT work with older versions of Skyrim. 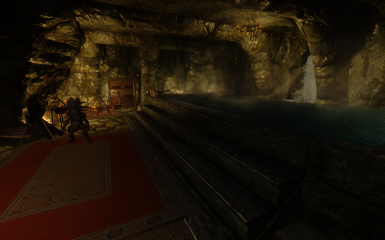 The Vampire Coffin Module requires Dawnguard. 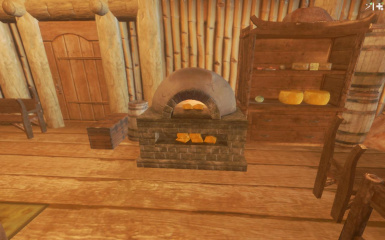 The Oven and Butter Churn Module requires Hearthfire. 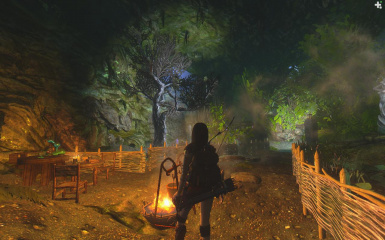 This mod also works best if your Skyrim is a legal Steam-enabled copy. Anything you see missing or something that doesn't look right, just leave a detailed comment (if English isn't your native language, use Google Translate before posting your comment). Thank you. 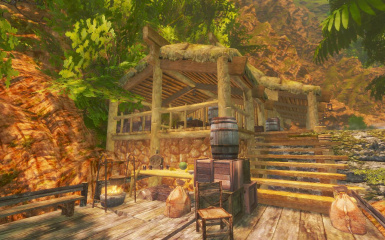 Like its twin sister, Bayview of Solstheim, this player home aims to provide adventurers of all kinds a new home in Skyrim, but provides a breath-taking view of Whiterun right above the roaring rapids of the White River... and like Bayview, it's not just any other home -- it will meet many of your needs. Multiple beds -- for you and four more followers! 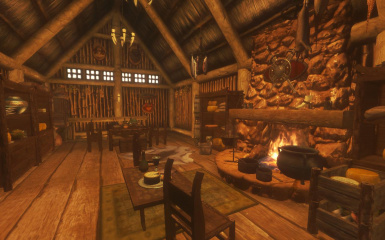 Fully-furnished -- well-stocked with food and drink, and supplies. 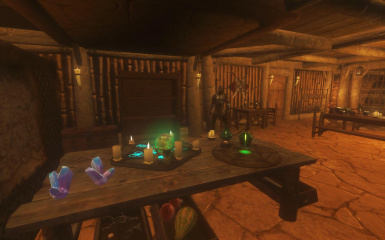 Immediate access to crafting equipment -- whether you enchant, formulate potions or craft weapons and armor, everything's ready for the craftsman. 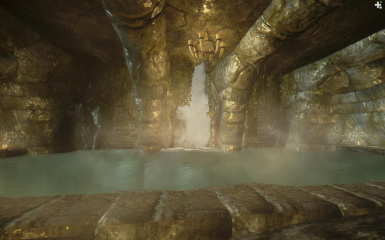 Hot baths, inside and out! 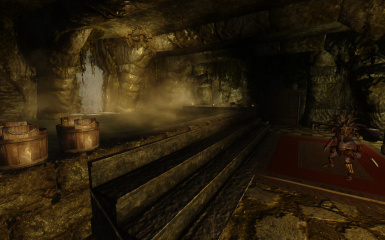 -- As with Lakeview and Bayview, there's a small tub just for a hot dip outside, and all right for Frostfall users. There's also a bigger tub inside the house, just big enough to fit in more followers! 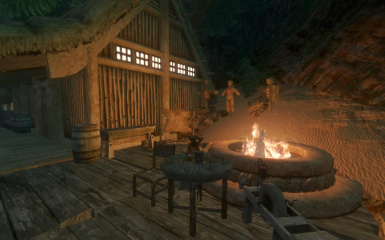 Frostfall-Friendly -- Yes, there are lit braziers, ready to thaw you out. 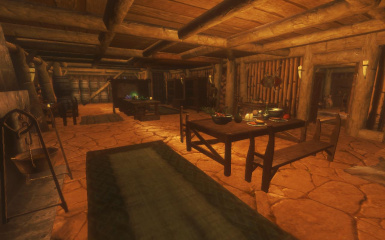 Follower-Friendly -- A navmesh has been laid in just about at any place around the house, and if you're using UFO or any companion management mod, along with My Home is Your Home, your followers can easily hit the sack, and do anything they want! Proper Floor Plan -- for convenience, the floor layout is done such a way so that if you're crafting, you don't have to walk too far or open too many doors -- everything is at reach. 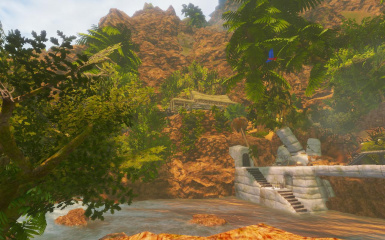 Compatible with both Vanilla and Tropical Skyrim -- although the exterior layout was designed to complement TS, there'll be no problems with the home blending in with vanilla Skyrim, as I made sure the vegetation doesn't affect the overall looks and use of the house. 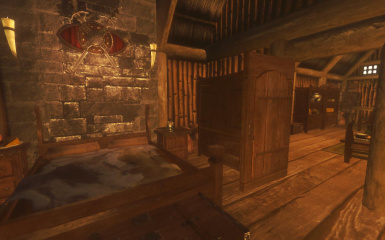 Vampire Module -- replaces the double bed in the master's bedroom with a coffin. Requires Dawnguard for it to work. Baking Module -- adds an oven and a butter churn to the kitchen. Requires Hearthfire. 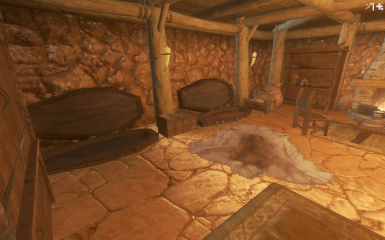 Cave -- Now you can harvest ingredients or mine for ore in this cave. 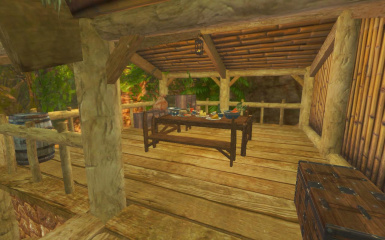 I have also added a cooking spit and an alchemy table for convenience. 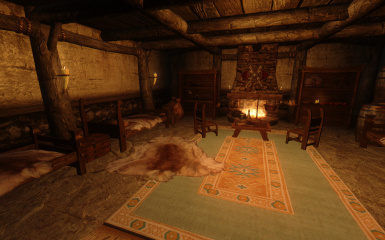 In general and just like Bayview, this mod includes 5 beds, 4 cooking spits, 4 bookshelves, 5 weapon plaques, 10 weapon racks, 1 large display case, 1 dagger case, multiple shrines, lots of storage, 2 hot baths, full set of crafting equipment and supplies just enough to survive whatever Alduin wants to do with the world. 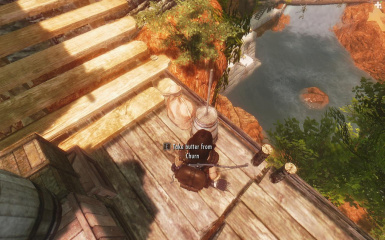 * Just when you're about to climb up to Riverwood from Whiterun by way of the brewery. Same thing when going downhill, along White River. 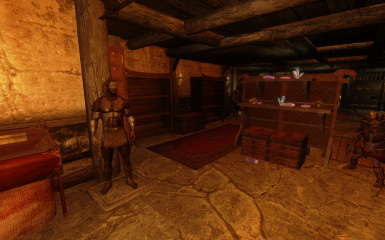 This mod was a user request, who asked for a non-DLC version, and then I realized that not everyone uses Dragonborn, so what I did was to take 50% of Bayview, strip out the DLC-specific objects, and then transplant it over to Tamriel. 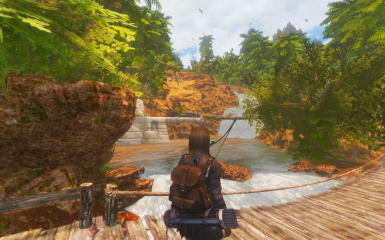 This time the project took more than two days to complete, and even then there's always the bothersome navmesh warnings that didn't have anything to do with the mod but some issues with the master files. 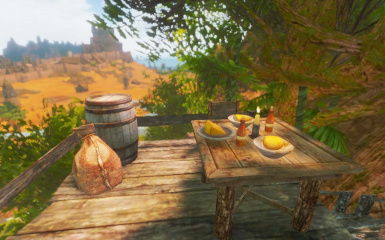 But what I enjoyed while testing was that the combination of this mod and Tropical Skyrim made me remember about my good time living rugged in the countryside, especially a distant cousin's home built on the slopes of a tall mountain, and was rewarded with an amazing view of the surrounding plain. 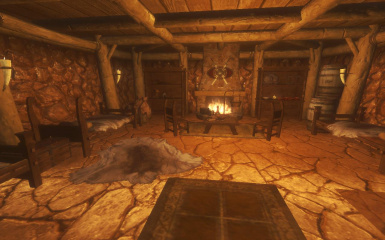 Some custom player home mods may cause problems and conflicts with this home if they use/occupy the same land/cell space. Please inform the author of such anomalies. Ranger Ridge cannot be used with this mod, as it will be buried in rock. Katixa's Beer Brewery is sited directly in the same spot. 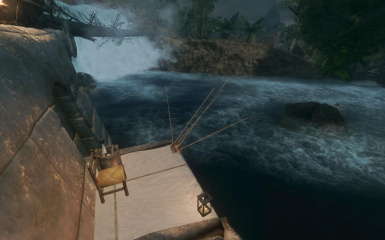 Skyrim Bridges - this mod must be loaded before Highwatch because of navmesh conflicts. Nexus Mod Manager: After downloading, find the mod and activate it to install. Manual: open the 7zip folder, then drag and drop the .ESP file into Skyrim's Data folder. Same instructions as above, but after installation and within the load list make sure they are loaded after the main .esp. 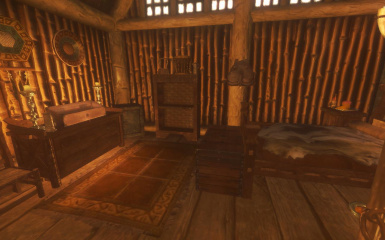 Uninstallation: Retrieve all items in known containers -- chests, cabinets, dressers, drawers, safes, lockboxes -- and then make a new gamesave. 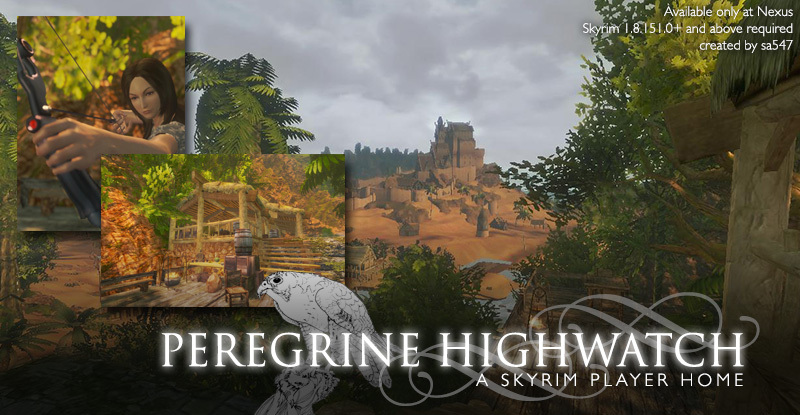 Quit the game, and then deactivate and uninstall the mod from NMM, or manually delete the mod (the filename is Peregrine_Highwatch_Playerhome.esp). Almost the same as uninstallation, except you still have to retrieve your items, create a new gamesave, quit, and then overwrite the .ESP file. In NMM, activate the new version and it'll ask you to overwrite; select Yes. For manual upgrading, open the 7zip file, click and drag over the .esp files to the data folder and overwrite the old .esp.